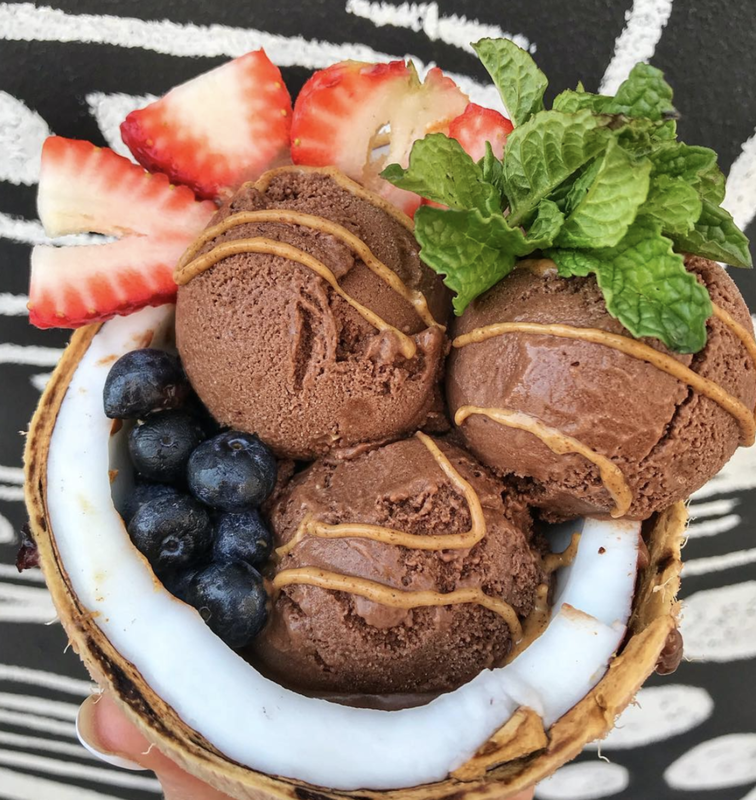 The composition of the gelato coconut bowls, aka Freezery Bowls, makes sense when taking Squeezery founder James Huertas’ background. He co-owned essential London tiki cocktail barTrailer Happiness. The rest of the healthy menu includes juices, smoothies, gluten-free baked goods like matcha banana bread. For more substantial food, there are bowls like the breakfast-focused Cereal Killer (oats, brown rice, nut butter) and the Motherclucker (chicken, peanut-turmeric sauce), and more. The menu was developed with chef KC James. Coffee and tea features beans and leaves from Chicago roaster Intelligentsia. Along with the usual matcha and turmeric lattes, there’s the curious-sounding beet latte. All coffee drinks are already made with cashew milk. Older PostONE GREEN PLANET - This Austin Juice Bar Features Vegan Gelato Coconut Bowls!